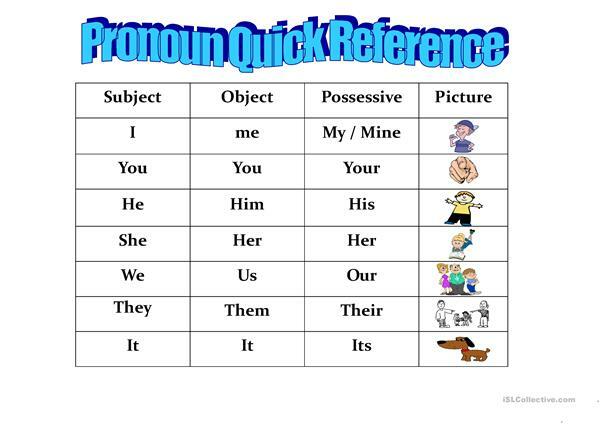 A chart to help students remember which pronoun (or possessive adjective) to use. The chart includes pictures, subject, object, and possessive pronouns/adjectives. 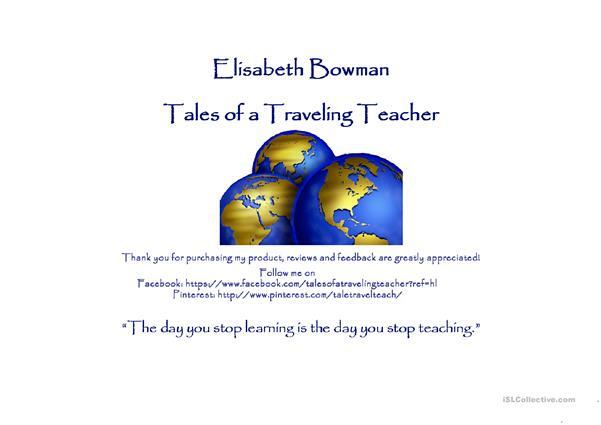 The present downloadable teaching material is recommended for high school students, elementary school students and adults at Beginner (pre-A1), Elementary (A1) and Pre-intermediate (A2) level. It is great for teaching Pronouns: Possessive pronouns (e.g. 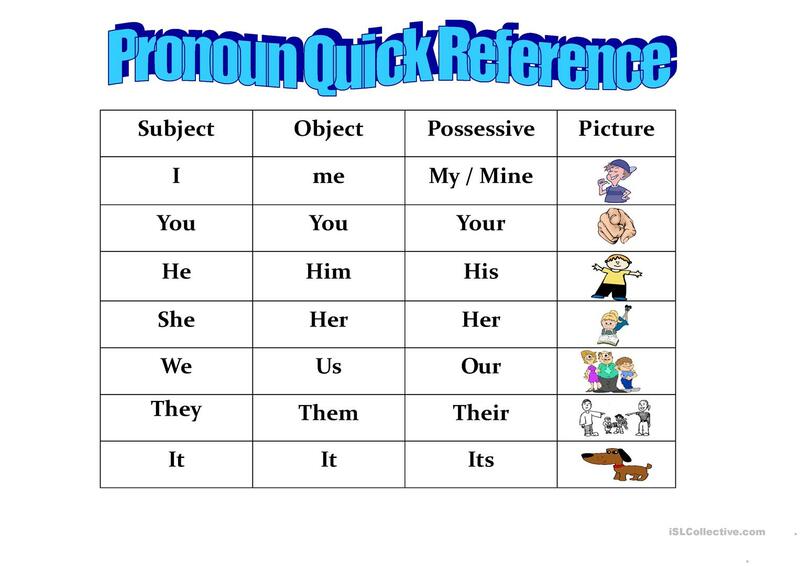 my, mine) and Pronouns: YOU and THEY to talk about people in general in English, and can be used for working on your pupils' Reading and Writing skills. It is focused on the theme of People.